WordPress is a well-known content management system that is used by thousands of people around the world. Its popularity is largely due to a large number of plugins that can be installed on your site. 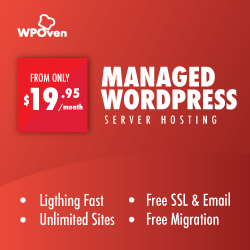 Indeed, with the help of plugins, you can add to your site almost any functionality (and if you want, modify the code yourself).WordPress is a well-known content management system that is used by thousands of people around the world. Its popularity is largely due to a large number of plugins that can be installed on your site. Indeed, with the help of plugins, you can add to your site almost any functionality (and if you want, modify the code yourself). Mailing lists are one of the favorite and the most effective ways for Internet marketers to attract attention to their company or to their website. What can you write about and what are the benefits? ● with questionnaires to get feedback from and then improve something. Now there are different services that help web users make mailings to their customers. But if your site is working on WordPress, is it worth it to pay separately for a third-party service? We’ll figure it out. WordPress newsletter plugin with simple control. If you’ve ever worked with MailChimp, then this is a very lightweight version of this mailing service. You can create and send a letter in a minute or two. The plugin is free, but you can purchase a premium version that has advanced features. Tariff plans vary depending on the number of sites on which this plugin will be. After installation, you will have three submenus (settings) – Mailing lists, Subscribers, and Settings. Newsletters – the section where you create and send letters. To know HTML and especially to work with the code is not necessary – the letter is created with the help of the designer, just drag and drop the blocks, and that’s it. By the way, you can ask not only a separate mailing but also an automatic one. At the last, third step you will need to determine the distribution data and the time when it will be sent – you can do it immediately, or at the scheduled time. Note that letters can come to the mail not immediately, but in a few minutes (and also get into spam). Before the main mailing, be sure to send yourself a test letter – sometimes in the final version, for example, the pictures may not open, you should check all this. In the plugin there is also a small analytical tool – you can track how many letters were opened, by whom and when. Subscribers – the section where you work with those who subscribed to you. There is an opportunity to divide them into groups, make import or export lists. All the newsletters should begin with the updating of subscriber lists so that all current users receive the letters. Settings – since the plugin has a detailed description of each of the settings, you can understand the correct filling easily. But there are interesting tabs. Forms are used to create a new widget (block), which can be placed on the site in order for users to subscribe to your mailings. By the way, this is also the answer to the question “How to create a client base?” – for example, through such a widget. Confirmation of registration is a letter that will come to those who entered their address in the widget. To neglect this test is not worth it – it will save you from “Why are you sending me letters, I did not subscribe to you!”. The rest of the tabs related to the general settings of the mailing, including technical ones. In general, that’s all there is to know about this plugin. ● Pros of the plugin – it’s simple, fast in setup and easy to manage; It contains all the functions necessary for interaction with the public. ● Cons – limited ability to create a letter design, all the “Wishlist”, it may not perform. A well-known WordPress newsletter plugin with one free and two paid tariffs. Immediately after installation, you will see that this plugin looks more professional than the previous one. Homepage – Dashboard – displays statistical information; in the top menu – everything you need to create a mailing list: Subscribers, List building, Newsletters, Settings, and Status. There are also more opportunities for writing a letter than in the MailPoet plugin. Before writing a letter, you will be offered several templates. Here, too, the principle of drag-and-drop is used, while on the right part of the screen you will see how it looks on a mobile device. Externally, all these icons and the location of the elements are very similar to MailChimp. If you want your letters to look modern, then with the Newsletter this can be done easily. ● Pros – a nice and easy to use interface, modern templates of letters. ● Cons – lack of Russian language, can create a load on the server if there are a lot of subscribers. This is a good plugin for creating a large number of mailings, tracking statistics and other work with mail. Nice design as a bonus. But if the base is large, remember the possible load. 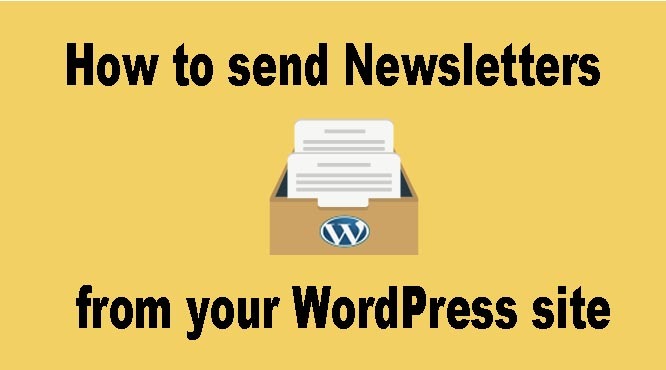 This known WordPress newsletter plugin is usually associated with optimization and protection of the site and is installed by many users. But few know that it has a special widget for subscribing to updates to the blog. However, JetPack does not provide an opportunity to make mailings in the full sense of the word. Subscribers will receive notifications about new entries in the blog – and if you do not have the desire to deal with mailings separately, then such an automated solution will be a good way out. After installing and activating the plugin, you will need to add a widget to your page (remember where widgets are installed in the menu: Appearance — Widgets). The widget is called Subscriptions to blogs (JetPack). You can correct the settings – change the title, text. After the user enters his email address, he will be notified by mail, which he must confirm that he is willing to subscribe. Now he will receive notifications about new entries in your blog. ● Pros – convenient, in automatic mode, does not require additional time and effort. ● Cons – there is no way to make an individual newsletter, only notifications. A handy feature for those who want to automatically notify subscribers about new entries in their blog. For a long time, this simple WordPress newsletter plugin was called one of the best (now there are more worthy analogs). To work with this plugin, it is desirable at least an initial understanding of what a code is, and how to use it to build templates. First of all, the plugin is needed to notify readers about new blog entries, but with it, you can also send the simple letters (in the menu: Subscribe2 -> Send email). ● Pros – easy, you can quickly send a letter to subscribers. ● Cons – few features, need to know at least basic coding. This plugin can fit your needs, but if you want to send colorful and modern letters, it’s better to choose some other one. If you have a site on WordPress, then you can do the mailing yourself, without using the third-party services. Many plugins provide not only paid, but also free options, and you can only choose the one that best suits your requirements.